Happy Friday! I am so ready for the weekend. Aren't you? When I started this card, I thought green, sure no problem. (right) As I am shifting through my supplies, I increasingly became aware that I do not have embellishments that are green except for a few buttons. 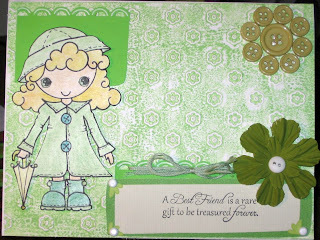 So luckly I had green ink from Stampin' Up and the lettuce dabber from Adirondack - Ranger Ink. This is the end result...hope you like it. It turned out better than I thought it would. Very cute card, thanks for joining us at Do You Stack Up. Carolee this card is so darn cute!! I love the button flower! Thanks for playing along with SSD! 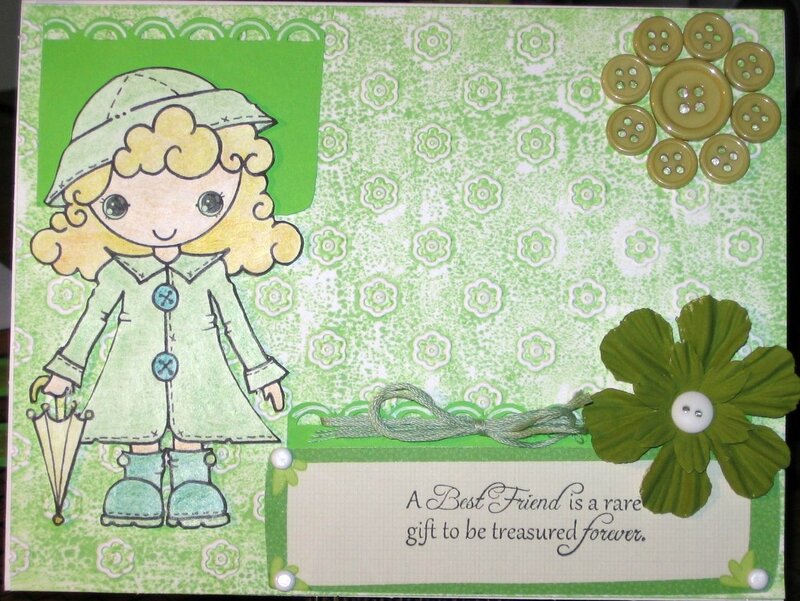 Very cute, way to get creative and make your own green embellishments. Thanks for playing along at SSD this week. Darling card! You did a great job making the best use of your green embellies!! The little girl is cute! That is super cute! Congrats you won something on my blog! Carol, your card turned out so cute! Great job using green!